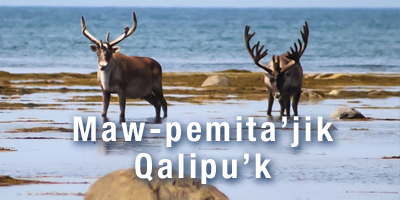 In this edition of Maw-pemita’jik Qalipu’k we’ve got a lot of great stories and pictures from our communities. Grassroots people are at the heart of our Nation and this is easily seen in the many events, workshops and volunteer efforts that we see happening in our communities. Find some of those stories featured on Pages 7-11. Qalipu’s election was held on October 23 and our newly elected Council will officially take office in just one week. Find all the details on the Election, an invitation to the Swearing in Ceremony and explore the top three priorities of each member of Council on Pages 4-6. Also, in this month’s newsletter, a story and pictures from the Experience Qalipu Indigenous Tourism Forum and a focus piece on one of the Indigenous tourism operators at work in our province, Pirates Haven RV Park and Chalets; an update on the Outdoor Education Program; student success stories and opportunities from the Qalipu Education and Training Department; and important updates from the Health division. The big announcement yesterday came too late for publication but, we are all talking about it. The federal government has committed to enter into exploratory discussions regarding veterans, members of the Canadian Armed Forces, RCMP and FNI members or members of other Mi’kmaq organizations who were involved in the Enrolment Process and denied Founding Membership. Our Chief committed to fight for this in a Demonstration of Community Solidarity. Many stories were collected at that time, and people who are impacted by the outcome of these discussions will be contacted as more information becomes available. The way forward for individuals impacted by the Wells/Wells court case is also in the works and details of this were announced. What we want people to know now is that INAC cannot reach you if you do not have a current address listed with them. If you’ve moved or had an address change, please update it by calling 1-800-561-2266.